First Grade Follies: What Did You Buy at the Big Sale? The Hubs & I ventured to Chipotle for BOGO burritos & bowls tonight. Love that one of my favorite places appreciated teachers, too. Win/win! The line was SO long but worth it. 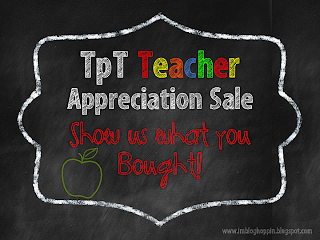 I also did a little shopping on TPT for their BIG 2-day sale! I've had a lot of ideas for TPT items to create and decided to buy some backgrounds and graphics. Sparkly Chevron Papers from Collaboration Cuties. I am in LOVE with all things chevron and these were TOO CUTE to pass up! Super cute Earth Day Themed Backgrounds by Ashley Hughes. I love that the graphics packs I bought have blackline & color images. I love to create super-colorful covers for my TPT creations and use the blacklines for the inside pages. The thrifty teacher in me can appreciate conserving the colored printer ink. And if you're interested, check out MY TPT STORE. Don't forget to enter code: TAD13 at checkout for your additional discount. Did you stop at the sale? What did you buy? 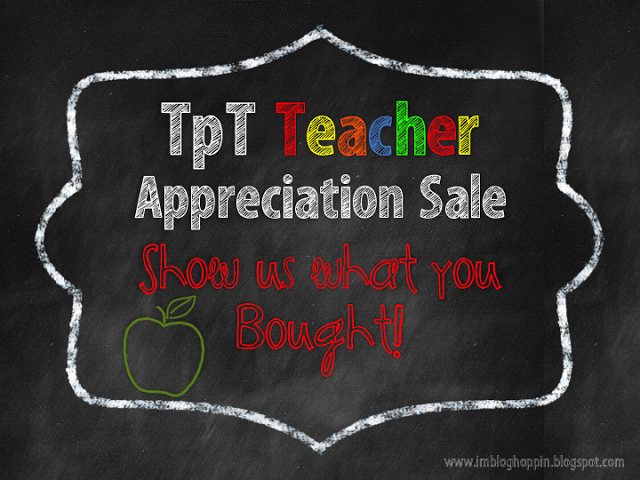 ...and check out what other people bought on Blog Hoppin's TPT Teacher Appreciation Sale linky! First off, your blog is so stinking cute I can't get over it. I am all about ladybugs right now! I love it. Looks like you picked up some great products. I am going to have to go and check out the base ten blocks - love those! I am your newest follower! Thanks for following! I love my blog design, too! Can't wait to use that new clip art!